It is a mystery why we deal with time management so badly. This is our commodity which we sell to our clients. However, we treat it like a curse, as if it’s an evil process that accounting forces on us. It somehow escapes us that this is the lifeblood of our business, and without it, we are out of business. So why don’t we manage this better and how can we improve our firm’s practices? Find out now! As Deltek Vision systems are implemented and processes are written, the common denominator is most often the connection between the Organizational Breakdown Structure (OBS) and the Work Breakdown Structure (WBS). Whether it be the uniqueness of each or the relationship between the two, the attention paid to these early stages of development is instrumental in the flow and reporting of information in your Vision database. Click here to explore some areas to consider when designing the structure of your database. Is This the End of Deltek Vision's Revenue Method B? Revenue Method B is the most widely used revenue method in Deltek Vision. In fairness, this is Vision’s default method for projects whose charge type is Regular. As a result, most firms use it since it’s easy to deploy and seems to work, or so we think. Learn more about Revenue Method B here. The main reason why CRM implementations usually fail isn’t because of the system, it’s because of you. I told you this was going to be hard to swallow. A CRM system is meant to provide a place to house all of the important information about your clients and opportunities. However, many firms purchase a CRM system thinking it will miraculously do the work for them with no effort required. Find out what your firm needs to know to have a successful CRM system. Organizations with antiquated talent management philosophies will struggle to attract, nurture and retain top talent in 2017. Many HR teams make the common mistake of having decentralized or ineffective systems and processes. Check out six key statistics that demonstrate why HR teams can no longer be reactionary and should evaluate their talent management processes and systems. Within Deltek Vision lies a very handy tool which enables a firm to have multi-company functionality. However, the benefits of this multi-company functionality feature seem to elude many firms that would greatly appreciate its capabilities. So, let’s talk in detail about multi-company functionality and the why, when and how firms should use this fantastic feature. Although it is easy to accept the status quo, there is always room for improvement. Once improvements are made, it is hard to believe that we operated the way we did before. So, there it is, the continuous cycle of breaking the status quo to improve our firm processes which ultimately ensures future success. As Deltek Vision users, we should focus on initiatives which enhance our Vision systems and allow us to remain efficient and effective in business. Find out which initiatives your firm can take on in 2018. Are you maximizing your time by taking advantage of a dashboard? Dashboards are one of the most beneficial and functional parts of a system and yet are often the most underutilized. Dashboards are comprised of dashparts, or widgets, which are used as a portal into your Deltek database. For firms using Deltek Vision or Deltek Talent, the dashparts are extensive and include reports, metrics, links, alerts, tips and more. Find out why your firm should be using dashboards. Cross charge capabilities in Vision are based on similar theories as multi-company but are focused on the interaction within a company and its organizational breakdown structure (OBS). It is important to understand that cross charging is a financial tool and is based on the general ledger. It is not an attribute of project reporting since time charged to a project remains on the project for billing and reporting purposes. Cross charge is labor focused and occurs after the timesheet is posted. Still confused? Learn what you need to know to effectively use cross charge. Welcome to Deltek for Professional Services (DPS), the next generation solution for professional services automation (PSA). If PSA is a new term for you, think of it as a specialized system like an enterprise resource planning (ERP) solution except specifically designed for the professional services industry. So, what can DPS do for your firm? Let’s see how this new cutting-edge solution will add value. The Full Sail Partners’ team strives to provide our clients with useful resources that add value to their Vision systems. 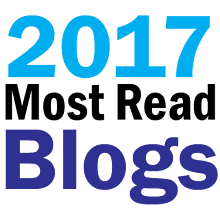 We hope that these widely read blogs from 2017 did just that. If you haven’t had the chance to review them yet, we hope you’ll do so now. Also, remember to keep an eye out for what’s coming in 2018!